This defensive dress can release a plume of ink-like custom helium ballons mimicing the defense of cephalopods including the cuttlefish. Cuttlefish are squid-like marine mollusks known for their ink-squirting defense mechanism and rapid color-changing abilities. 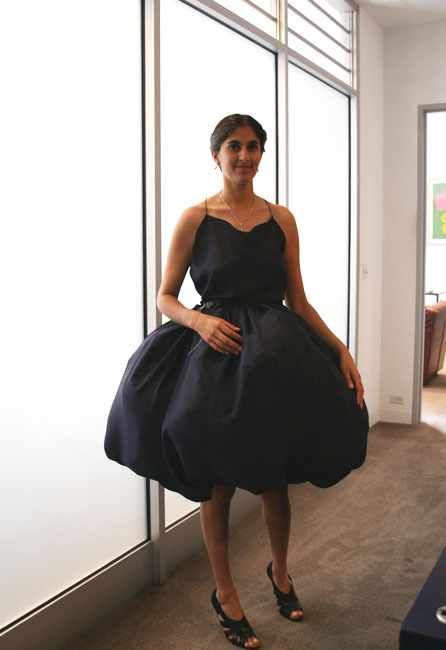 The dress hides a dozen helium balloons in the folds of a full navy skirt. When the wearer raises her arms in alarm the balloons are released allowing the wearer to make a quick getaway while her pursuers are lost in a bubbly fog. Two fans resting near her waist blow the balloons toward the attacker as the wearer quickly backs away into a safer area. 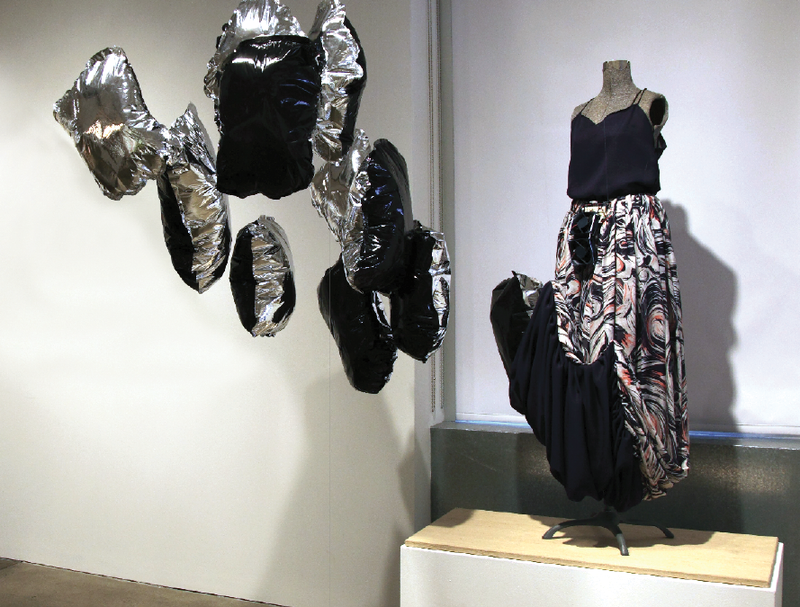 This dress was created for the 2011 Pittsburgh Biennial at the Andy Warhol Museum and is camouflaged in the guise of a cocktail dress. This piece was funded by a grant from The STUDIO for Creative Inquiry at Carnegie Mellon University. silk chiffon, aluminum, light sensor, fan, retractable cord, silver chain, handmade mylar baloons. 2011. 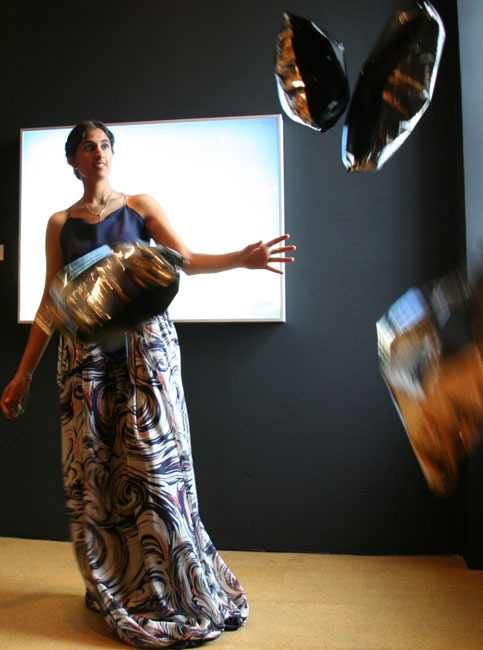 Installation view, Andy Warhol Museum, Pittsburgh PA, 2011.